This is one of my go-to meals when there's nothing in the fridge but a head of cabbage and a few eggs. Basically, you heat a skillet over high heat, pour in some oil, add chopped cabbage, stir-fry it until it is crisp-tender and charred in some spots, and then add soy sauce and chili sauce. Top it with a couple of fried eggs and call it dinner! I first learned about this quick, high-heat method of cooking cabbage from Orangette (although I omit the fennel and add garlic), and it has become one of my regular meal options ever since. 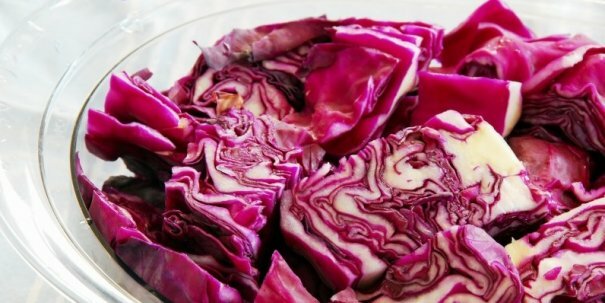 Braised red cabbage is one of my favorite sides during the winter holidays and goes well with everything from baked ham to bratwurst. It's comforting, warm, and simple to prepare. Just put oil, cabbage, vinegar, and brown sugar into a pot and let the whole thing simmer until the cabbage is tender, about an hour. Here's a yummy version of braised red cabbage with bacon. It doesn't get any simpler. Shredded cabbage, tossed with dressing (I love poppyseed or peanut dressing). You can get a little fancier by adding other shredded fruits and vegetables — carrots, broccoli, apples — as well as add-ins such as dried cranberries, pine nuts, and herbs. Here's a cabbage and broccoli slaw, and I also like to make an Asian-style slaw using shredded napa cabbage and a slightly sweet rice vinegar dressing. Classic cabbage rolls are delicious, healthy, and a great way to feed a crowd. Meat, rice, and seasonings are wrapped in cabbage and slowly simmered in tomato sauce. Here's an easy version of cabbage rolls for the slow cooker, and here's a simple stove-top version. Kimchi is one of my favorite condiments. 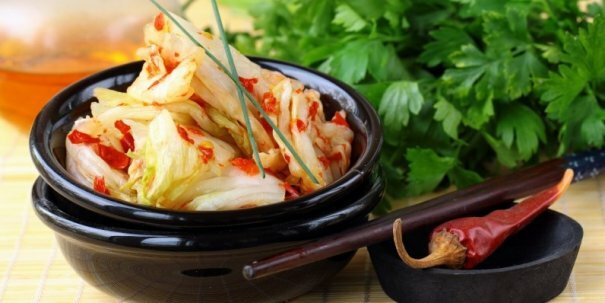 This tangy, spicy, Korean cabbage pickle adds zing as well as nutrients to a slew of dishes. You can find kimchi at Asian markets and larger supermarkets (or have a go at making kimchi yourself). Add it to burgers, tacos, cheese quesadillas (one of my favorites), or make an easy kimchi fried rice. Serve it on top of steamed rice with leftovers and a fried egg for a quick meal. Authentic Baja-style fish tacos are topped with cabbage instead of lettuce. Just pan-fry a batch of white fish (tilapia is affordable and has a mild flavor), slip them into warm corn or flour tortillas, and add shredded cabbage, salsa, fresh Mexican cheese (queso fresco), and a squeeze of lime. I like to add a yogurt sauce made of plain yogurt, lime juice, salt, and chili powder. Cabbage can be a hearty, nutritious, and frugal component in a stew, providing a delicious one-pot meal. Try this Italian sausage and cabbage stew, or this gluten-free Irish potato and cabbage stew. If you have leftover corned beef (or just use some bacon) you can easily make cabbage hash for brunch. For variety, try making it with chopped Brussels sprouts (or as I like to call them, "mini cabbages"). Serve it with a couple fried eggs for a delicious breakfast. This simple-to-make, turmeric-spiked Indian cabbage dish is a fragrant side dish to accompany curries, Tandoori chicken, or any main dish. With just five ingredients (not including oil and salt), this flavorful dish is easy to put together. Almost everything tastes better roasted, so why not cabbage, too? Toss cabbage wedges with oil, salt and pepper, and some caraway seeds and roast them in the oven. While you're at it, roast some potatoes and perhaps some chicken legs for a hands-off dinner. Sauerkraut, or fermented, preserved cabbage, has a long history as a frugal way to preserve vegetables for the winter. 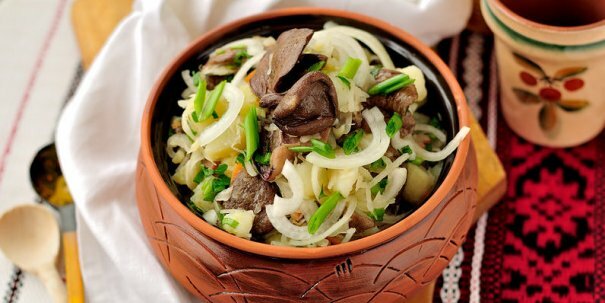 Germanic and Eastern European peoples would salt down the cabbage in barrels with spices and sometimes wine, creating a tangy dish that is still popular today, especially for traditions like celebrating the New Year. Today, there's no need to ferment your own sauerkraut (though it might be a fun experiment), as it is readily available in jars or at delis. This nutritious side dish goes especially well with grilled sausages and pork. It's also delicious on a hot dog. Put lentils and cabbage together and you've got a SUPER frugal, healthy meal. Lentils provide protein without the fat of meat, and they're cheap and tasty, too. Simmer red lentils until soft, then add cabbage cooked with complex spices, and you've got dinner covered. Add salad and perhaps some naan bread for wiping up the flavorful sauce. A traditional Irish dish, colcannon is a mixture of mashed potatoes, cabbage or kale, onions, and spices. I like this recipe for colcannon with kale for an extra punch of color and nutrients. Did you know that kale is a form of wild cabbage? However, you can always substitute cooked cabbage for the kale if you're not a fan. Cabbage is one of the best resources for creating frugal meals from scratch, so give it chance if you don't cook with it often. Getting creative with a few new cabbage recipes just might make you fall in love with this humble vegetable. Are you a fan of cabbage? What's your favorite cabbage dish? Love these ideas for cabbage!! Thank you :) Now the problem is just deciding which one to use for the head of cabbage in the fridge! Great list of cabbage uses. Thank you, I'll be trying a few. You do have one thing wrong about Sauerkraut though. 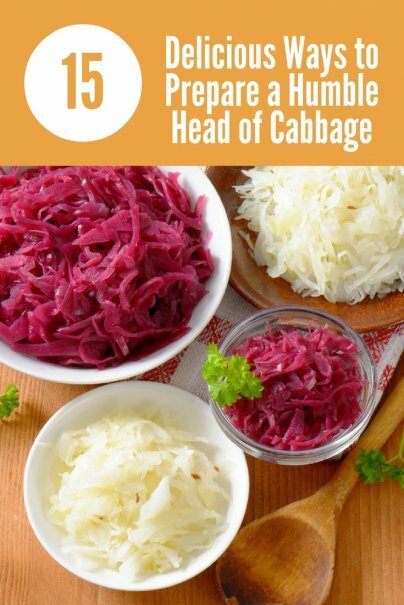 With all the junk, salt, sugars and preservatives in some of the store bought ones, it's way better to do your own - that way you can benefit from the nutrients of the cabbage. The store ones have less nutrients and with added sugars and iodized salts, they can actually border on being bad for you. How do you prevent the smell of cooking cabbage from permeating your house? That alone is enough to keep me from cabbage until I move out of my apartment and into a detached house. Wonderful! Thanks. I'm a cabbage lover.